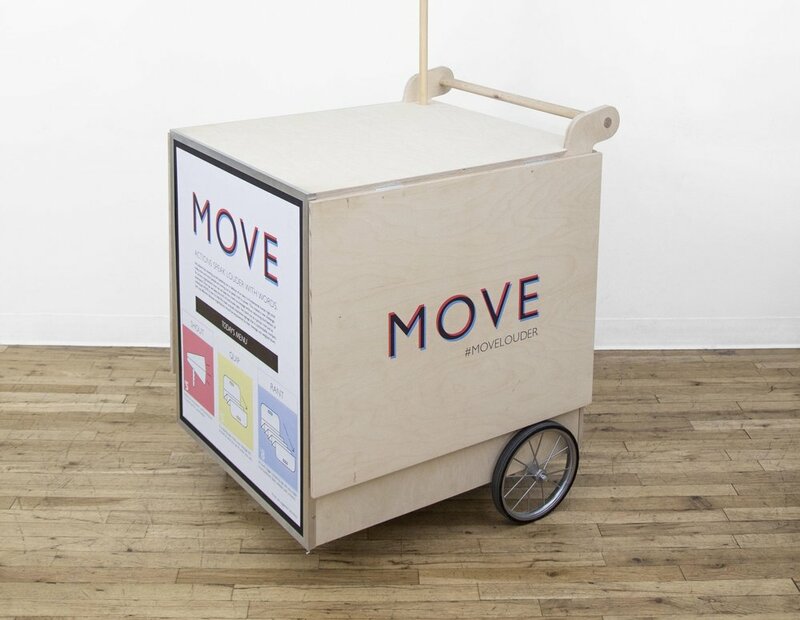 MOVE sells flat-pack signage and gear that empowers organizers, revolutionaries and dreamers to make their message heard. Clients choose from a menu of compellingly unique form factors — foldable megaphones, floating lanterns, customizable signs — and can either design the graphics themselves, consult with MOVE’s in-house designers, or leave the customization up to the protesters—with the help of MOVE’s on-site mobile customization station. Today’s political climate is pushing more and more people to take to the streets in defense of their beliefs and rights. 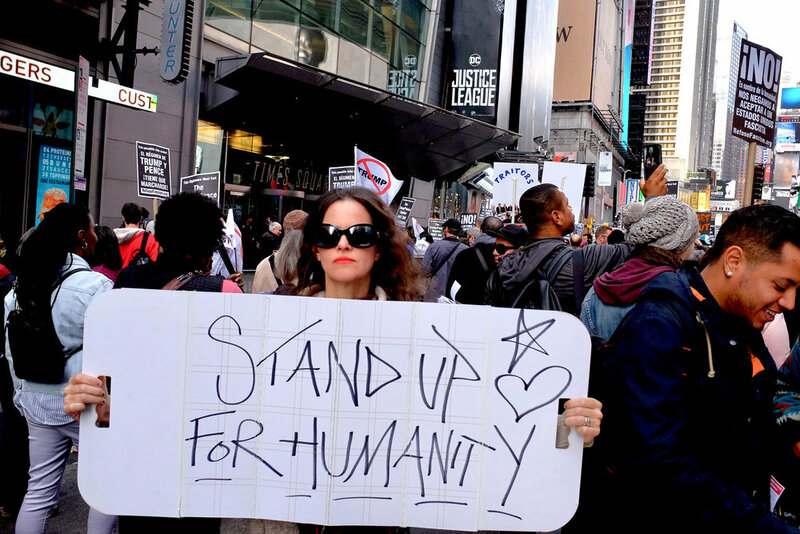 And while any influx of participation is a boon for activist organizers, it comes at a cost—these newcomers are typically unversed in the organization’s language or practices and can inadvertently dilute the movement. If organizers don’t proactively engage with these new members to get them on-message, the event can quickly transform from their control. But organizers who turn to event signage as a way to unify messaging soon find themselves stuck between two frustrating extremes. 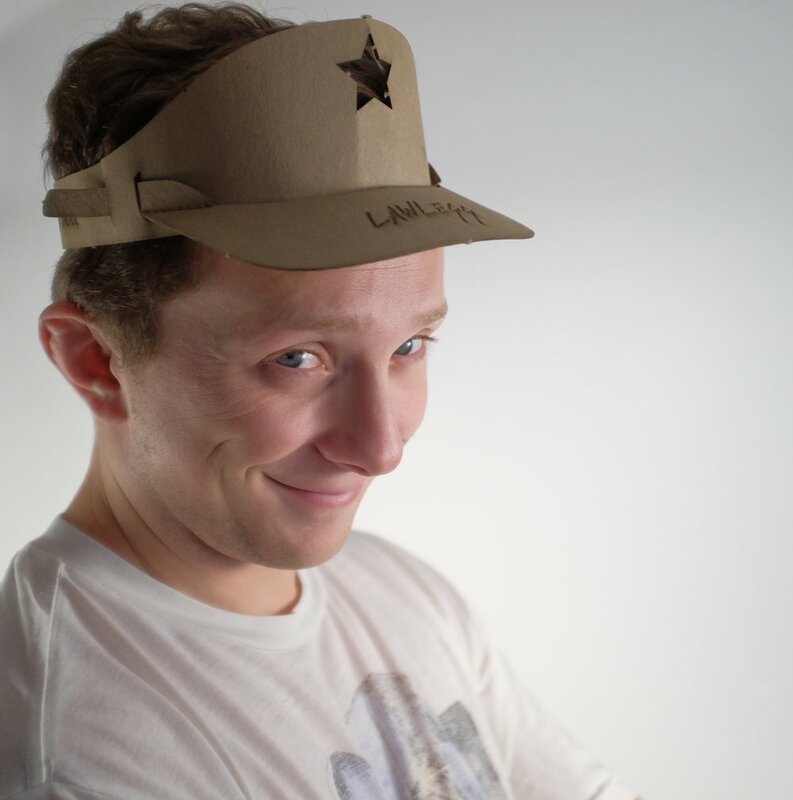 Bulk orders of conventional event swag certainly cultivate a unified image, but often feel stale, corporate and insincere. Conversely, if they leave the sign-making up to the crowd, organizers will get some individual moments of wit, truth, and creativity, but the overall message may end up confusingly diffuse. 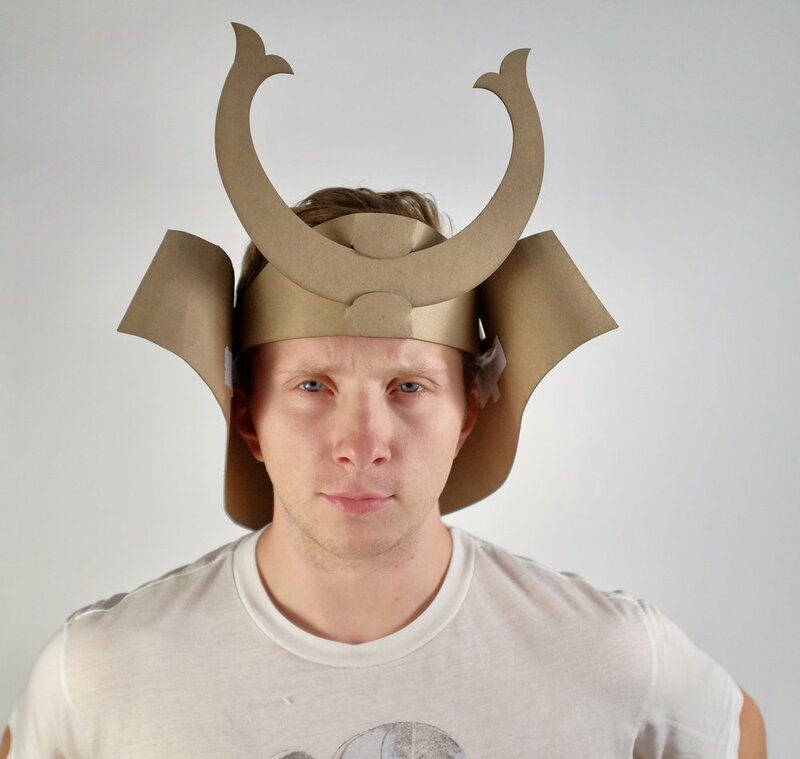 MOVE is here to bridge the spectrum by making swag that is unconventional. MOVE’s product line of innovative signage is constantly evolving and always eye-catching. Whether it’s folding megaphones and floating lanterns this fall, or something even more bombastic next spring, MOVE signs are guaranteed to turn heads. 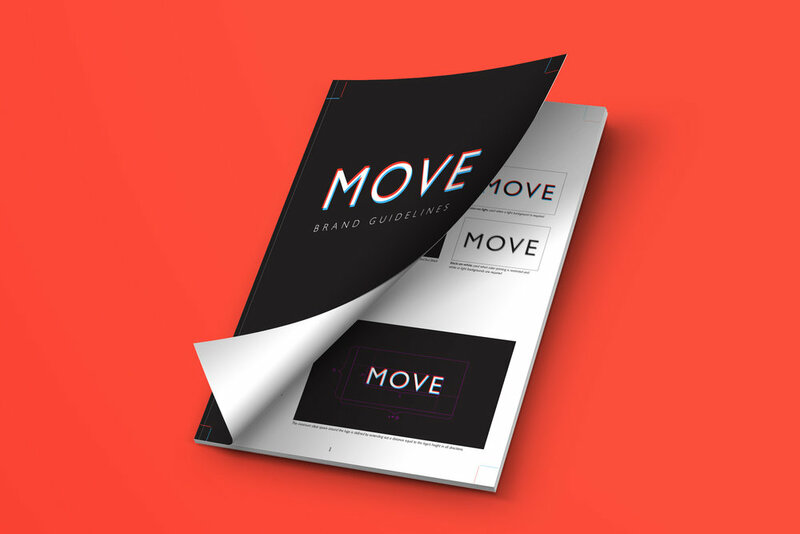 Organizers are free to design the graphics for their signs directly from the MOVE website but are also invited to get input from MOVE’s in-house creative team. 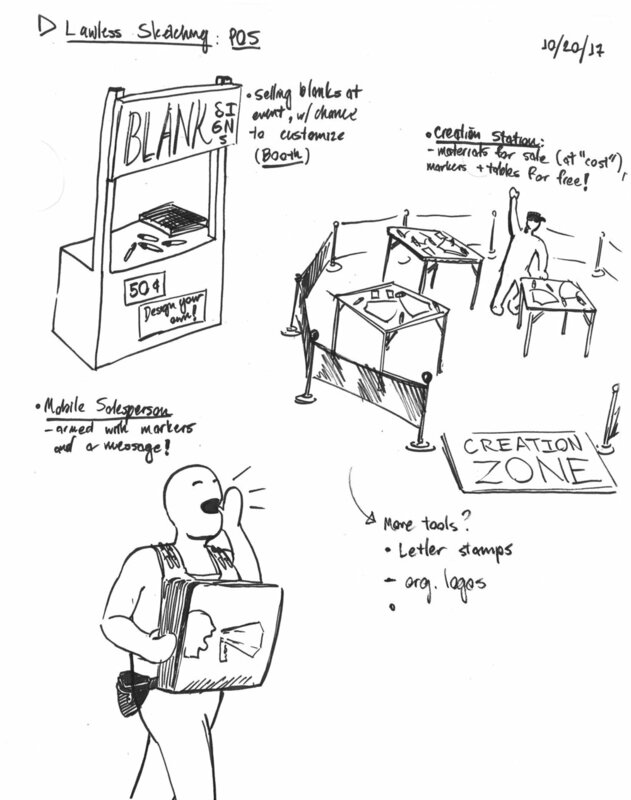 (Strong advocates of leaving room for individual expression, MOVE always recommends that some blank space be left for protesters to customize the message themselves.) 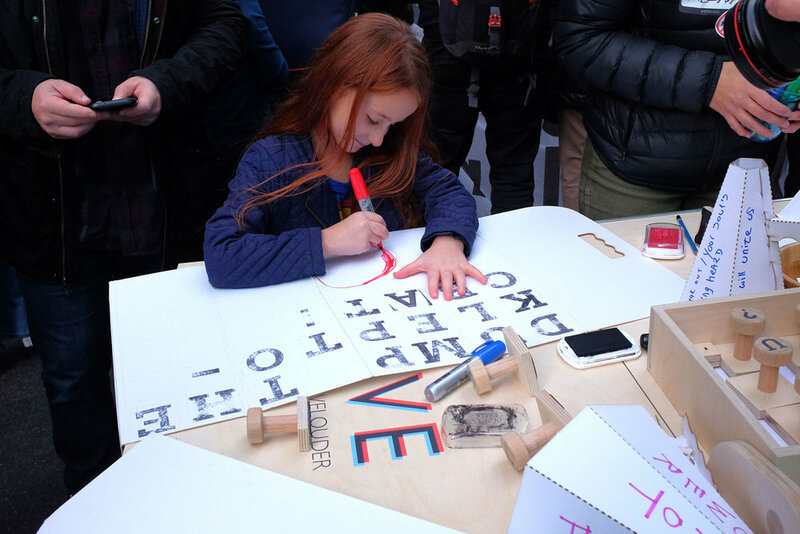 The most comprehensive version of MOVE’s service is their mobile customization station, which brings blank or co-branded signs to your rally—along with pens, stamps and stickers—to give protesters a space to craft (and consider) their message. Here the team prototyped a hypothetical client relationship with the NYC branch of the Democratic Socialists of America — using eye-catching signage to help their message pop in unison. The Black Lives Matter sky lantern portrays an instance where a client employed MOVE's design consultancy service. For instance, Black Lives Matter, embroiled in a false characterization as a violent and unruly movement, can use the evocative imagery of a lantern vigil to emphasize the origins of its purpose. 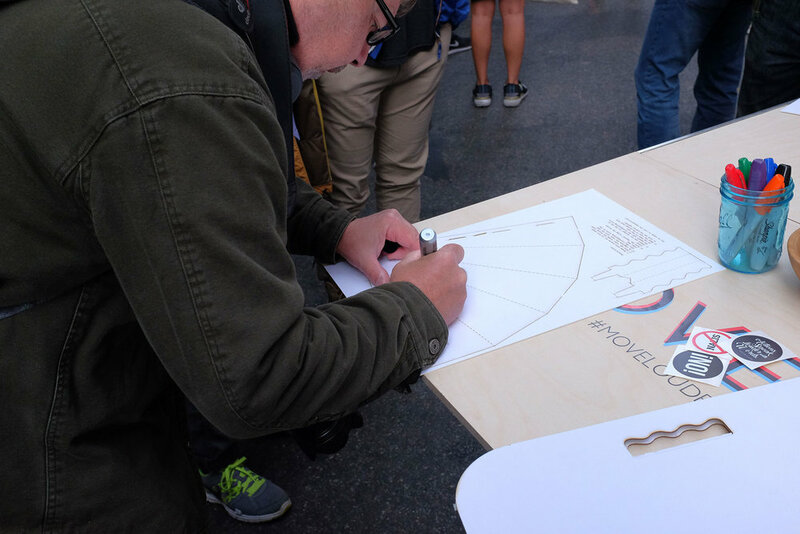 For the full expression of the service, MOVE’s mobile customization station, allows protesters to fully express themselves by giving them blank foldable swag to write, stamp and collage their messages. Deployed at Refuse Fascism's rally in Times Square on Nov 4th, 2017. 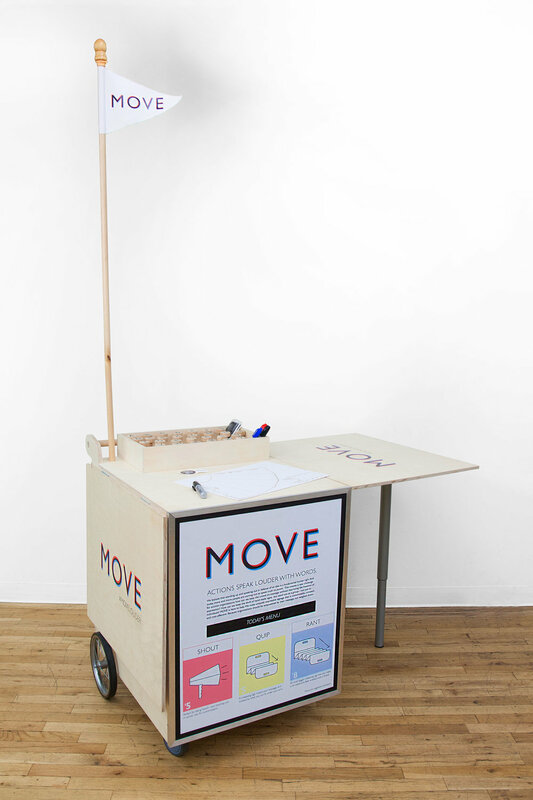 MOVE was a collaborative effort between Will Crum, Lassor Feasley and Alexia Cohen. 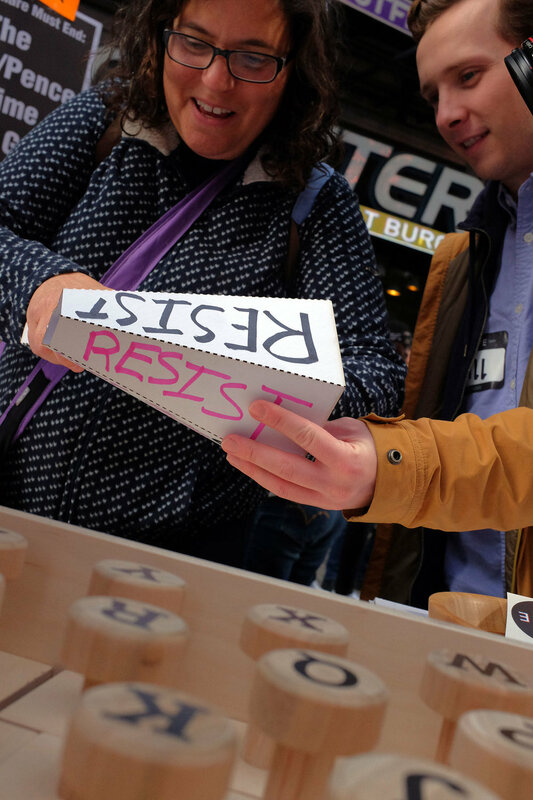 It grew out of a mutual desire to design for protesters. 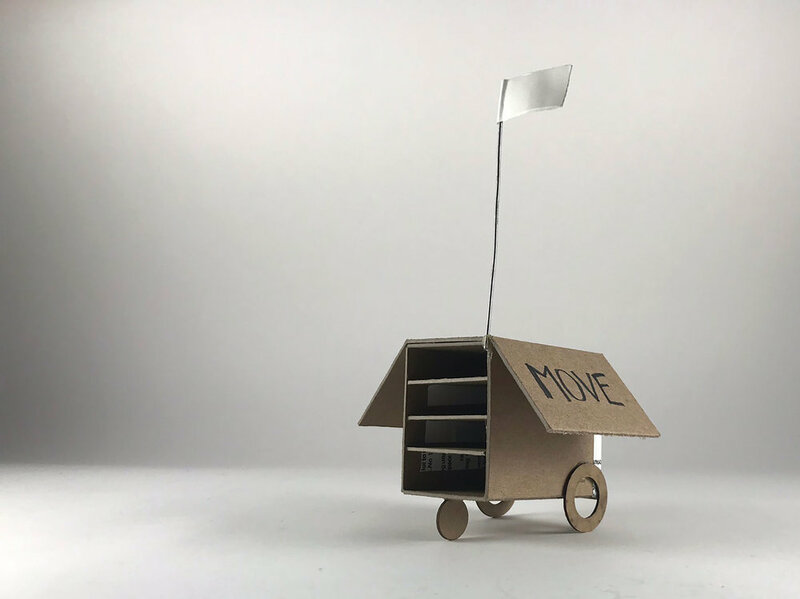 The team was inspired by the contemporary frenzy of political expression that erupted since Trump's election in 2016, and they suspected that there might be a host of unmet design opportunities to respond to. To verify their suspicion, the team interviewed politically active individuals who were frequent protesters, organizers, or both. These conversations uncovered a host of insights into the needs of the community, which ranged from day-of-protest issues to pre- and post-event logistical headaches for organizers. But they ultimately latched onto an issue that stemmed directly from the influx of new protesters: When critical mass grows so quickly, a movement’s message may easily become diluted, distorted or confused. By taking this problem as a guiding light, the team focused their ideation around vehicles for expression. 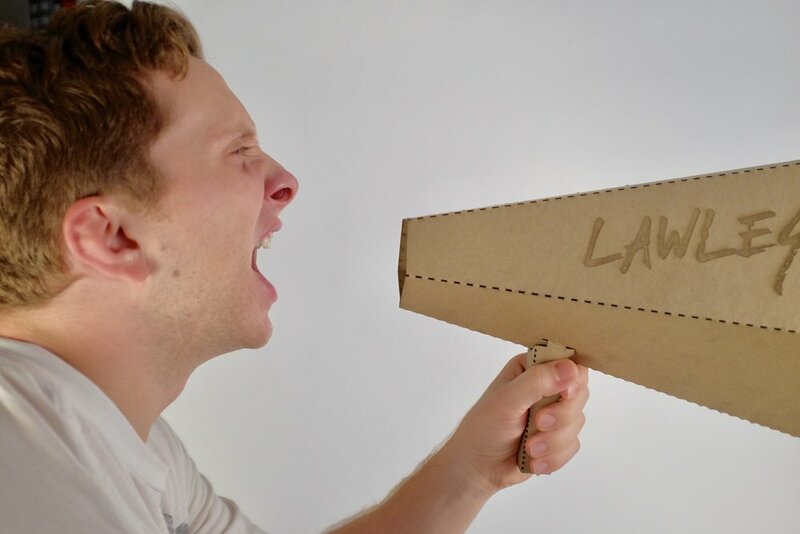 And by adding in the more constant constraints of event organizers—budgets are small, what you bring is what you can carry—the concept of the flat-pack megaphone was born. The rest of the product line, and the MOVE brand itself, grew out from this initial seed.